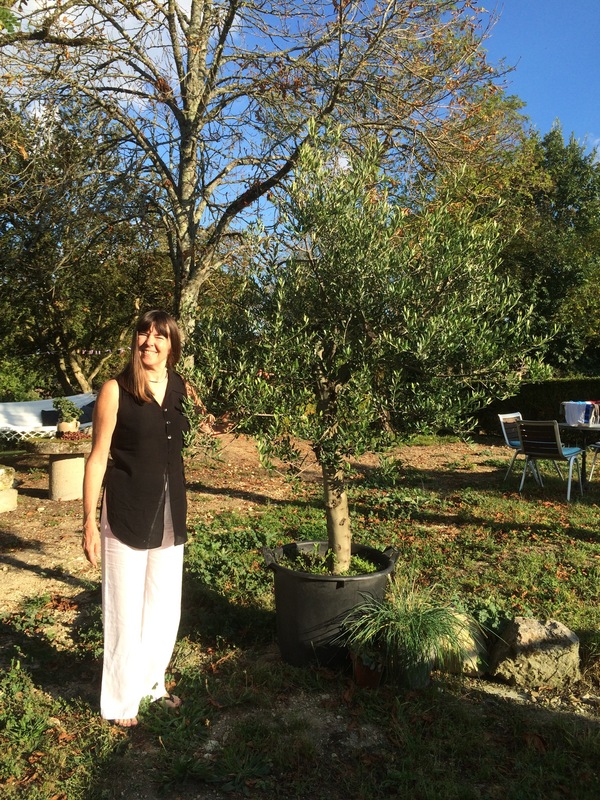 Our dear Sheri has been staying with us ( her first visit) and saw this fabulous olive tree in our local super market Le Clerc and very kindly bought it for us as a house warming gift. Madame who we bought it off wheeled it to our car using an amazing electric pallet truck, it was like moving air, effortless. When she saw our car, her face was a picture such a flabbergasted expression, “but it will not fit” she said in a fab Allo Allo English accent. “Oui, oui” we both said in unison and kept nodding our heads in a yes manner. Off she went with her pallet truck, ” after five minutes “I think we have been abandoned, maybe we should get it delivered” Sheri said. But just as we were considering this Madame returned with three strapping lads who were up for a task, “better than stacking shelves” says I. They huffed, puffed and squeezed it into my poor car. After lots of thank you’s “Let’s take the back roads home, to avoid the police” says I, so off we trot at a snails pace only to bump straight into a police car turning around the corner, thankfully they were more interested in whatever was happening up ahead and didn’t even notice us, phew!!! A short ride home and now our Olivier is in its new home, well temporary home as it eventually sit by the pool, once the decking is finished. 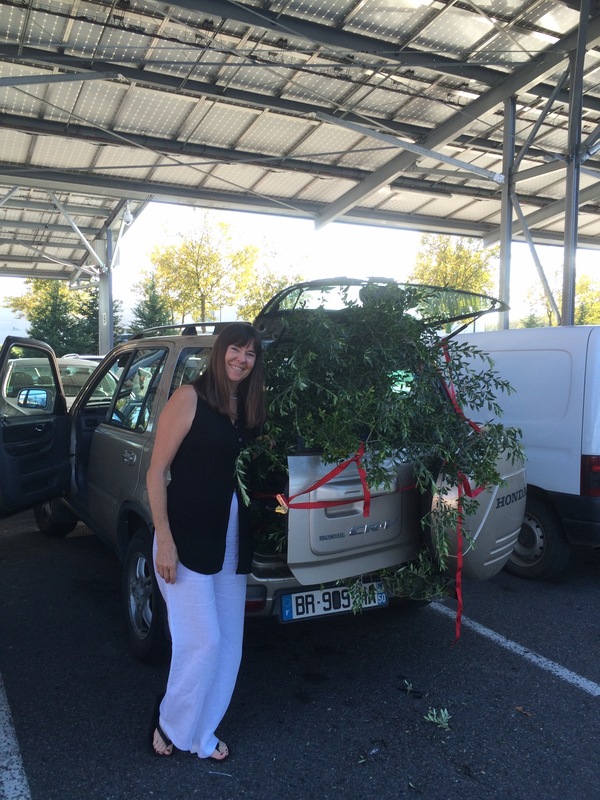 Thank you Sheri, Madame, strapping lads, Blodwyn ( that’s the cars name) & the police for taking no notice off us.